Cala Tarida, Ibiza. Cool & stylish, Beach, Luxury, Mind, body & soul, Cala Tarida, 4-5 Stars. 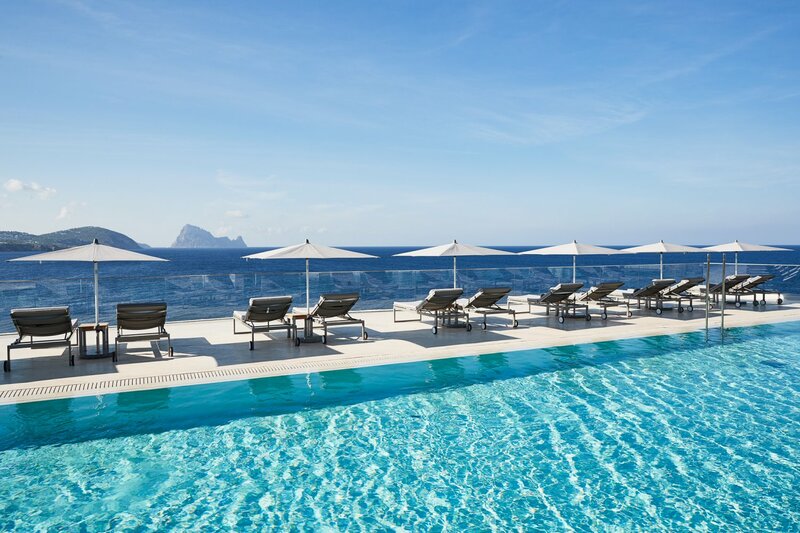 A high-end resort offering spectacular views and pure unadulterated luxury, close to some of Ibiza’s best beaches. 7 Pines Resort Ibiza - The Seven Pines luxury resort makes for the ideal place to relax and unwind in a completely private setting. Set amidst a pine forest, this beautiful venue offers spectacular views of the sea and the islet of Es Vedrà. Eclectic decor fills the resort and there is a range of 1- and 2-bedroom suites in two distinct parts of the complex; the Laguna and the Ibicenco village. Some suites are available with amazing cliff-top views and private swimming pools. As well as a year-round spa and wellness area, there are water sports' facilities, several bars and two excellent restaurants featuring high-end world cuisine influences. Cala Codolar beach is very close by and the supremely pretty beaches of Cala Conta and Cala Bassa are a short trip by car - Cala Conta can also be reached by a 30-minute stroll. The resort of San Antonio and San José village can both be reached in under 15 minutes, for a range of restaurants and bars. The airport is around 25 minutes drive and guests can book the private pick-up with the Seven Pines limousine service.